This page is a report on the debate which took place between Lee Smolin, Philip Candelas and Simon Saunders at 5:30 pm on 7th March 2007 in the Martin Wood Lecture Theatre, Oxford University. Lee Smolin will be well known to readers of this report, in particular for his popular science books The Life of the Cosmos and Three Roads to Quantum Gravity. 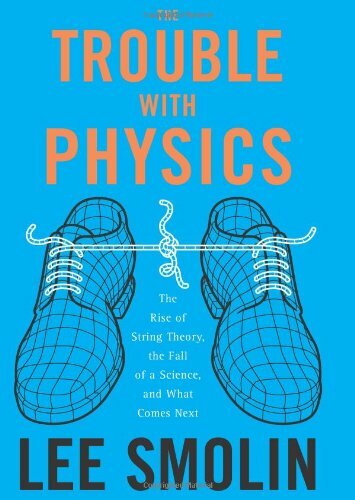 The latest such work The Trouble with Physics subtitled: The rise of string theory, the fall of a science and what comes next formed the basis for this debate. Philip Candelas is a professor of mathematics at Oxford. He has done much of note in the development of string theory, but is not so well known in the world of popular science books. Simon Saunders is a philosopher of physics at Oxford. Now I know that philosophy may not be held in very high esteem by the readers of this page. Indeed in book reviews I sometimes link 'philosophical', with wordy, handwaving arguments which lack substance. However, philosophy of physics is more like what philosophy ought to be - something to keep the rest of us in check when our arguments get too handwaving. You can listen to Saunders in this role in a meeting in 2005 on Evolving Laws which was organised by Smolin. Saunders has done much work in foundational issues of physics, in particular the many-worlds interpretation of quantum theory, but is not particularly known as a proponent of string theory - the original adverts for the debate only mentioned Smolin and Saunders and I have to say that I wondered whether there would be sufficient disagreement to make an interesting debate. The structure of the debate was that the three participants presented their points of view, followed by questions from the audience with a summary by Smolin at the end. I'll give summaries of the three talks, including later discussion within these summaries where appropriate. Smolin opened the debate, and as is to be expected his presentation was based on his new book. He claimed that Einstein's work at the beginning of the 20th century started a revolution in physics which continued up until around 1980, when it somehow lost its way. Experimentally virtually everything agrees with the standard model, so there is nothing to drive new theories. Hence theoretical physics has become dominated by what Smolin sees as a dead end - string theory. This originally promised to provide a unique explanation of all of the parameters of physics, but it turned out that there were a huge number of solutions - possibly infinitely many. This is the landscape problem. It means that an external reason has to be found why one is realised, such as the anthropic principle. Now in The Life of the Cosmos Smolin used such reasoning, but showed how it could be put to the test. He is deeply suspicious of what he sees as attempts to change the rules of scientific enquiry - saying that string theory is so obviously right that lack of testability doesn't matter. Smolin also explained why he thought that a fundamental theory had to be background-independent - space and time should emerge from the theory, not be part of the assumptions. Candelas naturally didn't think that string theory was such as dead end as Smolin had claimed. He said that there was a good reason for its popularity, which was that it was the first serious contender for quantizing gravity, and that it was still the leader the field. He described some of its recent successes, for instance black-hole entropy and quark-gluon plasma calculations where the dualities in string theory gave an easier way of calculating something which would otherwise be intractable. As for the problems, such as the landscape, he felt that there was no reason to suppose that these would be insuperable. He also agreed that background independence of the theory was a goal to be strived for. As regards string theory excluding other approaches, Candelas said that this was not what he experienced in the UK, and that while there may be a valid problem with the way academic posts are filled, string theorists shouldn't be used as scapegoats. He also felt that Smolin's characterisation in the book of string theorists as craftspeople rather than seers was unfair - plenty of string theorists can be classified as visionaries. Saunders questioned Smolin's claim of a unique crisis in physics. Although particle physics might be lacking challenging experimental results, for other areas of physics this might be considered a golden age. A 30 year doldrums in one area was nothing new, for instance between 1850 and 1905 there were many attempts to unify electromagnetism with Newtonian physics, which didn't seem to be going anywhere. He also explained how what Smolin saw as 'groupthink' in string theory could be considered as 'normal science' in Kuhn's characterisation (Smolin agreed with this, but thought that the transition to normality was decidedly premature, given the lack of experimental testability). Saunders went on to claim that the rift between string theorists and others wasn't new, but was a continuation between the rift between practically minded particle physicists and the 'deep thinkers' who wanted to explore the foundations of quantum theory. 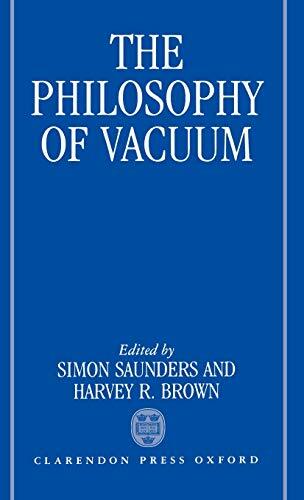 In the mid 20th century the particle physicists had the upper hand, but since then there has been a great deal of work in foundational issues, such as pilot wave theory, ideas for quantum state reduction, and Saunders' own speciality, the many-worlds theory. The impression that I got from the debate was that there was much resistance to any idea that the rules of scientific enquiry should be modified. People look forward to tests from new devices such as the LHC, so it's possible that the quotes calling for a move away from testability that Smolin has in his book are more isolated than he thinks. Also, yes, string theorists have a tendency to be brash and overconfident, and that this needs to be kept in check, but that this isn't a new problem in science. It shouldn't be confused with possible problems in the funding of academia, such as a growing rigidity in the way things are arranged meaning that despite there being a great deal more funding than in 1905, someone like Einstein would probably still be unable to get an academic job.